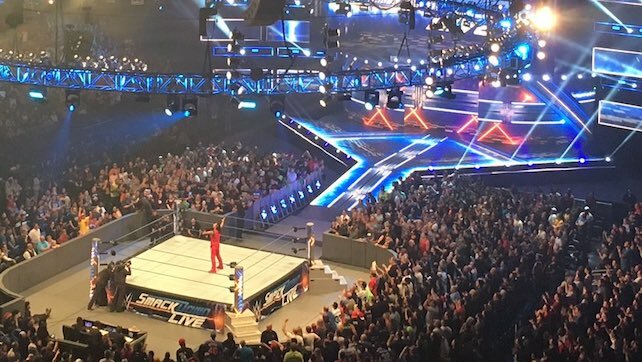 Could SmackDown 1000 mark the return of some of the blue brand’s biggest stars of the past? WWE is hyping it up that way, and posted a very interesting story on their Facebook page this morning. They teased a number of dream matches pitting current wrestlers against stars from the past. Matches included Daniel Bryan against Kurt Angle, Rey Mysterio taking on WWE Champion AJ Styles, Michelle McCool facing off with Charlotte Flair, The Bar against the APA, and Samoa Joe versus Dave Batista. With the 1000th episode of WWE SmackDown Live on the horizon, can we have these matches, please? All of those matches would make SmackDown 1000 must-watch television, but some seem more far-fetched than others. Let us know what matches you’d like to see most on SmackDown 1000 in the comments below!